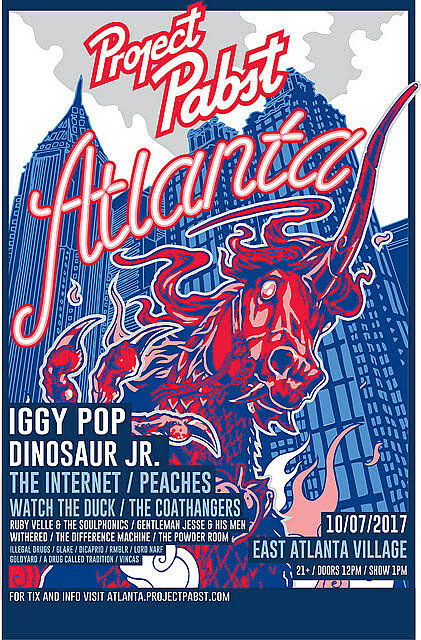 Iggy Pop, Dinosaur Jr, The Internet, Peaches, The Coathangers, Withered and more are set to play Project Pabst Atlanta, which is a block party happening October 7 in East Atlanta Village. Tickets are on sale now. Full lineup below. Project Pabst’s Portland edition happens this month and the Philly edition happens in September. The Denver edition happened already this past May.